Sinn Féin has refused to condemn the killing of Mr Joe O’Connor, the “Real IRA” member shot dead in west Belfast last Friday. No group has claimed responsibility but local people and the victim’s family have blamed the Provisional IRA. Tensions between the “Real IRA” and the Provisional IRA are running high, particularly in west Belfast. Both Mr Gerry Adams and the 32-County Sovereignty Movement, which security sources claim is the political wing of the “Real IRA”, last night appealed for calm. Mr O’Connor’s funeral will be held tomorrow. Sources said he would be buried with “full republican honours”. The RUC Chief Constable, Sir Ronnie Flanagan, said it was too early to state categorically who was responsible. At a press conference in west Belfast yesterday, Sinn Féin’s Mr Gerry Kelly described the killing as “tragic” but refused to condemn it. He said condemning incidents had not worked during the Troubles. Sinn Féin has recently condemned loyalist and dissident republican attacks, but Mr Kelly insisted he did not wish to become involved in the politics of condemnation. He said there was considerable speculation about Provisional IRA involvement but he did not believe it was correct. People were “throwing accusations about willy-nilly”. Mr Kelly acknowledged that a statement from the Provisional IRA could be “helpful” in clearly establishing who was responsible. He denounced a statement from the “Real IRA” which blamed the Provisionals and threatened retaliation on those who ordered and carried out the killing. He said the threat had been made for publicity reasons and a small group like the “Real IRA” threatening the Provisionals was “of no consequence”. 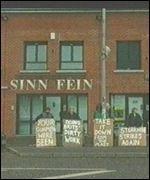 Mr O’Connor’s family yesterday picketed Sinn Féin offices on the Falls Road. They carried placards saying, “We saw your gunmen” and “Volunteer Joe O’Connor, murdered by the Provos”. Mr Adams had earlier offered to meet the O’Connor family. He said many nationalists were shocked by the killing and “dismayed and disappointed at the claims and counter-claims” which had followed. The 32-County Sovereignty Movement accused Sinn Féin of attempting to cover up Provisional IRA involvement. The Minister for Justice, Mr O’Donoghue, and the Northern Secretary, Mr Peter Mandelson, will meet later this week to discuss Northern Ireland security issues. A Government spokesman confirmed last night that the men will meet but a definite date or venue has not been decided. It will most likely be held in Dublin. The security threat posed by the “Real IRA” is likely to be on the agenda. The Government spokesman confirmed that the Taoiseach, Mr Ahern, and the British Prime Minister, Mr Tony Blair, were likely to meet on the fringes of the EU-Asia summit in Seoul on Friday to discuss how to move forward in relation to the policing Bill. This entry was posted in Press and tagged Gerry Adams, Gerry Kelly, Joe O'Connor, Provisional IRA, Real IRA, Sinn Fein. Bookmark the permalink.